I just love this pattern and color from Thibaut. It is from their Wild Flora Collection. 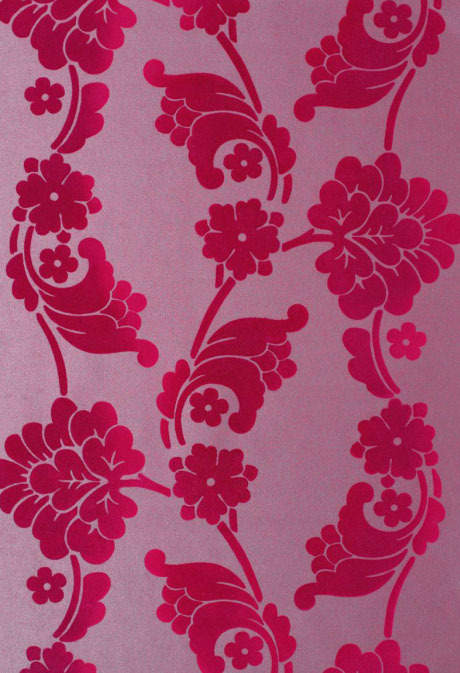 This velvet jacquard in pink is such a bright and bold burst of color, making it perfect for a girl's room. Perfect for an accent wall and a few throw pillows or upholstered arm chair in the same pattern fabric.